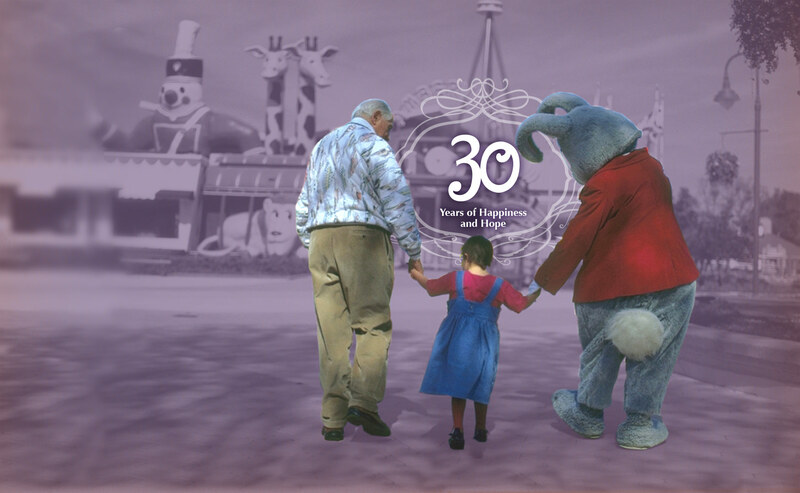 Give Kids The World, a nonprofit organization that provides children with life-threatening illnesses and their families weeklong, fantasy vacations, will celebrate its 30th anniversary this year, marking three decades of providing the happiness that inspires hope. Since 1986, the organization has hosted more than 143,000 children and their families. Give Kids The World partners with more than 240 wish-granting organizations from around the world to bring these families to Central Florida to experience the world’s most beloved theme parks. There is no cost for visiting families. 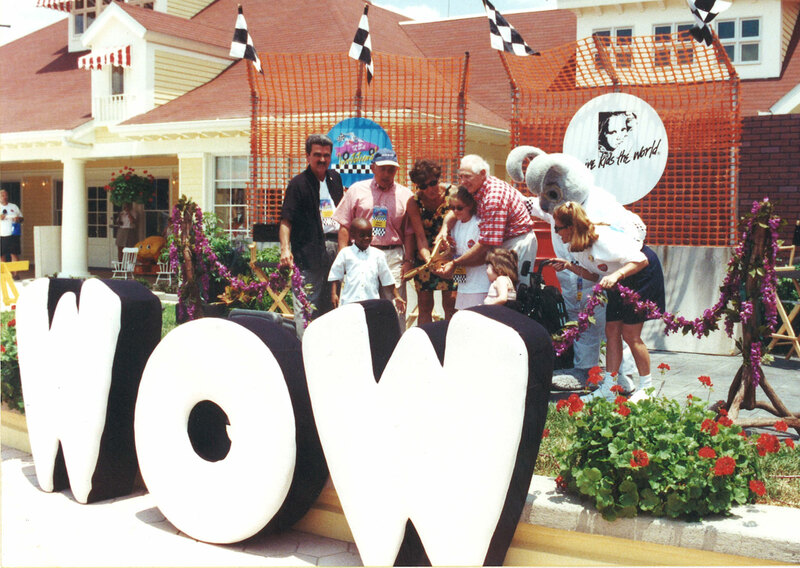 The inspiration for Give Kids The World was a wish that went unfulfilled. Thirty years ago, a 6-year-old girl named Amy wanted to visit Walt Disney World. But despite efforts to make that dream come true, Amy, who had leukemia, passed away before all of the pieces could come together. An Orlando hotelier and Holocaust survivor named Henri Landwirth was so moved by her story he pledged that no child’s wish would ever again come too late. With the help of his friends and colleagues in the hospitality industry, his new venture could make a wish come true in as little as 24 hours. Give Kids The World started in 1986 as a few rooms spread out between several local hotels. Three years later, the whimsical Give Kids The World Village resort opened in Kissimmee, and has grown to encompass 79 acres with 144 two-bedroom villas. The one-of-a-kind Village looks as if it leapt off the pages of a child’s storybook. It features the Castle of Miracles, where golden stars personalized with each wish child’s name twinkle on the ceiling. There’s a magical carousel, a child-size train, a dinosaur-themed mini golf course, two pools and a spectacular splash pad. Halloween and Christmas are celebrated every week, as is the birthday of Mayor Clayton, a six-foot rabbit who serves as honorary mayor of the Village. All the amenities are designed to help the children and their families forget – if only for a week – the challenges that living with a life-threatening illness present. 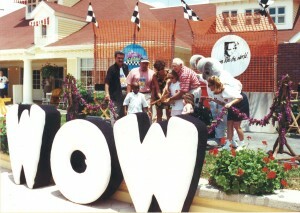 Today, the mission of the Village is fulfilled with the help of dozens of corporate partners and countless donors, including Walt Disney World Resort, Universal Orlando Resort, SeaWorld Orlando, as well as Kennedy Space Center, LEGOLAND Florida Resort, and Gatorland, all of which provide admission tickets. Visiting families enjoy complimentary breakfast, lunch and dinner provided by Perkins Restaurants & Bakery, Boston Market and Papa John’s Pizza. Additional support comes from longtime partners such as Mears Transportation, InterContinental Hotels Group Owners Association and Orange Lake Resorts, Home to Holiday Inn Club Vacations. “Over the last 30 years, we’ve welcomed thousands of children and their families into our Village home and into our hearts. Each one of them has made an indelible mark on our lives,” said Pamela Landwirth, President and CEO of Give Kids The World Village. In 2015, the Village welcomed more than 7,700 families, a number expected to grow in 2016. To accommodate the continuing growth, additional villas are under construction. The first phase of Banyan Park, which includes an additional 24 villas, is scheduled to open this fall. Also this year, Give Kids The World is bringing memories of the Village to “alumni” families during “family reunions” to be held in cities throughout the country. These ice-cream socials will allow guests to reconnect, reminisce and rediscover the feeling they had at the Village while meeting other families with stories much like their own. The family reunions are scheduled in cities such as Atlanta, Los Angeles, Chicago, Dallas, Columbus, and Philadelphia. For more information on Give Kids The World Village’s mission, the resort or how to make a donation that will help provide the “Happiness that Inspires Hope,” please visit GiveKidsTheWorld.org.